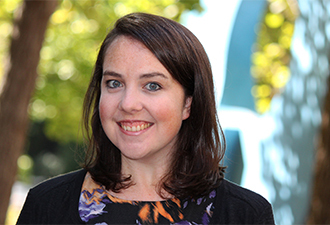 Caitlin Shaw is the director of alumni engagement for Duke Law School. In this role, she oversees initiatives that engage alumni, students, faculty, and friends with one another and with the Law School. Caitlin serves as the staff liaison for the Law Alumni Association Board of Directors, coordinates Reunion Weekend programming, and connects alumni volunteers with opportunities for lifelong engagement with Duke Law. Before assuming the role of director, she served as assistant director of alumni and constituent programs. Prior to joining the Law School Alumni & Development Office, she served as assistant director for Duke University Student Involvement, University Center Activities and Events. Other prior roles include serving in the Office of Alumni and Development and the Office of Residence Life at Bowling Green State University. Caitlin holds a B.A. in communication studies from Northwestern University and an M.A. in college student personnel from Bowling Green State University. She currently is working on earning an MBA at Elon University (expected March 2018).